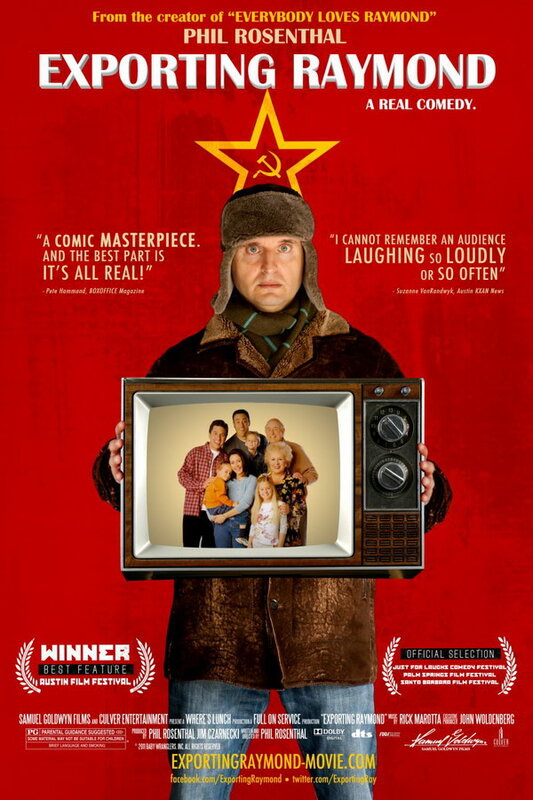 Exporting Raymond font here refers to the font used in the poster of Exporting Raymond, which is a 2010 documentary movie that follows Everybody Loves Raymond creator Philip Rosenthal on a journey to create a Russian version of the TV series. The font used for the movie title in the poster is Britannic Bold designed by Stephenson Blake. The font is a commercial one and you can view more details about it here. In addition to Exporting Raymond, Britannic typeface is also used in the following logos, movie posters or album covers etc., including: Flawless, Stand by Me Doraemon, Unforgivable, Die Another Day, Flame & Citron.